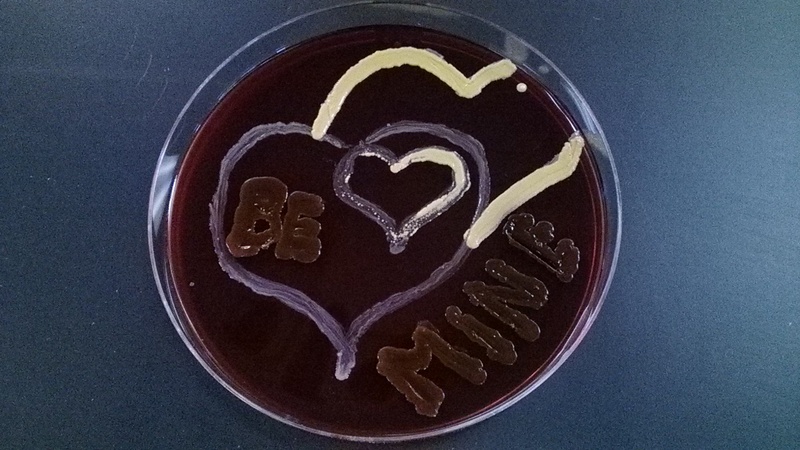 Once a year or so, I have a biology student who’s a great photographer or illustrator. We talk about scientific photography or scientific illustration as a career path, but I haven’t been able to offer much beyond that. Well, now I can. A colleague just turned me on to this organization, the BioCommunications Association (http://www.bca.org/about/about.html). A typical BCA member is a dedicated, passionate, creative and technical biological/medical photographer, graphic designer, illustrator or videographer employed by hospitals, medical facilities, colleges, universities and research institutions in the life sciences and health care industry. They offer an education grant: The fund has awarded grants to applicants from several countries for a wide variety of projects such as preparation for certification, attendance at workshops, photographic exhibit support, and the development of new imaging techniques for the microscope. Awards are limited to no more than 33% of available funds for the year and are typically $500 or less. and Any student, trainee, biocommunicator, or institutional program that can demonstrate a need for project funding may apply. So, it’s only $500, but its something. They also offer a scholarship to support educational opportunities for full-time undergraduate or graduate student pursuing a career in scientific/biomedical visual communications, at an accredited school. Additionally, they run an annual BioImages competition. Check out their amazing winners gallery here: http://www.bca.org/gallery/bioimages2014salon.html. Be sure to scroll down for the videos! Last but not least, check out their nicely curated list of links. They include links to academic programs, inspirations and stock images. Maybe I’ll be inspired to branch out from WikiMedia Images. 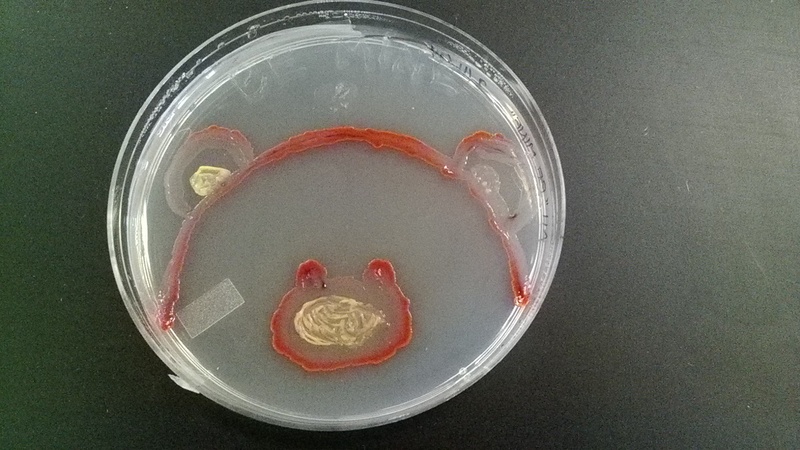 Methicillin-resistant Staphylococcus aureus. A bacteria that causes infections and is one that is resistant to many antibiotics. Welcome to my first guest post! Today we’re hearing from Dr. Amy Sprenkle (https://www.salemstate.edu/academics/schools/1046.php?id=736) from my home institution, Salem State University (https://www.salemstate.edu). 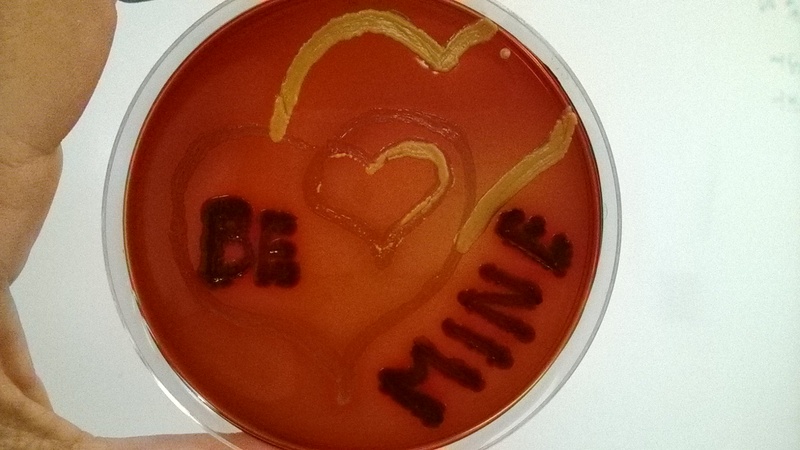 The annual Darwin Festival (http://w3.salemstate.edu/~pkelly/darwin/) coincides with Valentine’s day each year, and I usually invite my microbiology students to create ‘valentines’ by using bacterial cultures that have a macroscopic appearance that is opaque and colorful after growing on an agar plate. 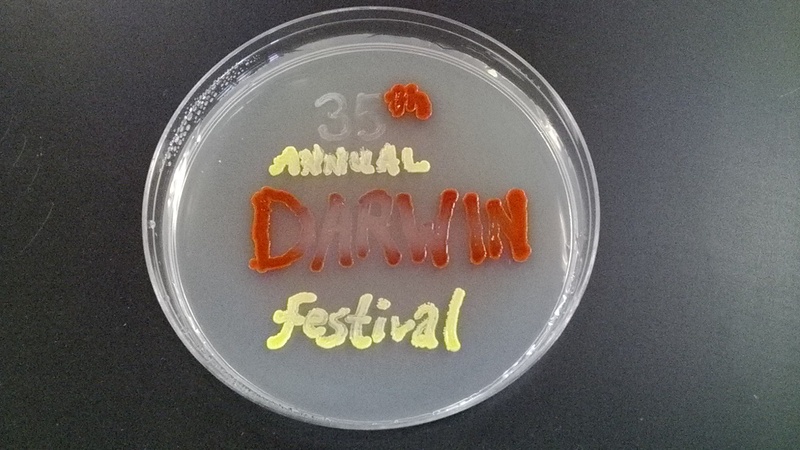 This year we shared them at the Darwin Festival. “But why did you do it?” asked Lisa. 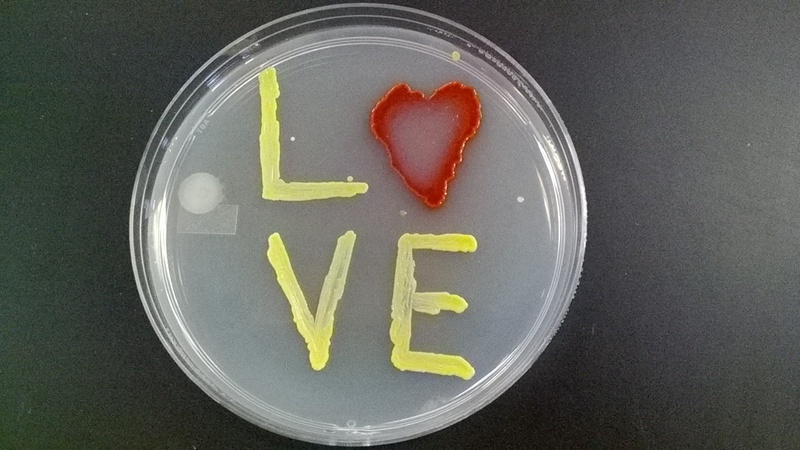 I could come up with many scientific reasons why allowing the students to ‘paint’ with bacteria is a good idea; reminders of the aspects of good aseptic technique, or the study of the interaction of the different cultures as they grow on the plate are just two, but I think the most important reason is that it helps to demystify bacteria, and perhaps break down some ‘germophobe’ walls that have been built in some individuals since childhood. 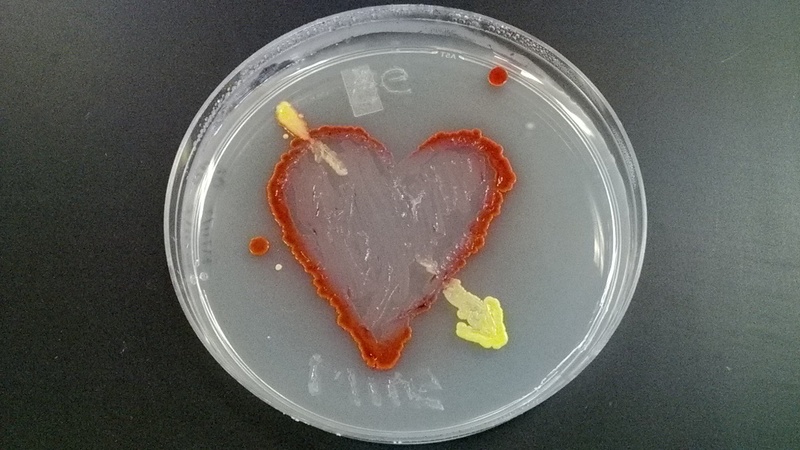 As a microbiologist, I consider germophobes to have a certain lack of intellectual curiosity, and a lack of openness to new ideas, especially in microbiology! (but many students don’t bother to do the valentine because it’s not required). The best thing in being released from the fear of manipulating bacteria is that it gets one thinking about the ways in which we use microbes to our benefit; in food production and agriculture, bioremediation, biotechnology, and most importantly as a part of our resident microbiota that is so crucial to our health.